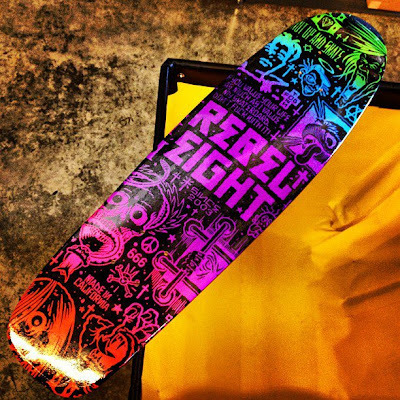 How could you not love this limited edition deck from Rebel8? If I had the cash I’d buy two – one to ride and one to hang on my wall. With a limited run of only 100 pieces, it won’t be around forever. You can pick it up exclusively in Rebel8’s online shop.